You asked, we answered: How much will it cost to sell my home in Texas? They (whoever “they” are) say “you’ve got to spend money to make money.” Well, turns out “they” are definitely right when it comes to real estate. Want to get your home sold faster and with a better offer? (Um, OF COURSE, you do!) Time to live up to what “they” said and spend those dollars to make even more dollars! Yes, these costs are voluntary. But, if you are looking to sell fast and get more money at closing, you may want to put up the cash. Alright, so what should go into those upfront costs? And what will be mandatory for you to pay when you sell? 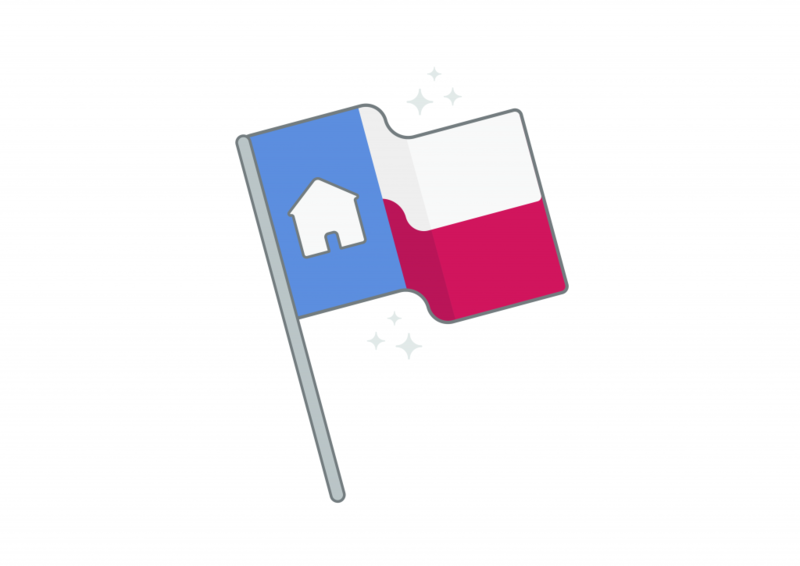 Here’s a guide to what you should plan on spending when you sell your home in Texas. While a pre-inspection isn’t required, it’s encouraged! A pre-inspection can shield you from surprises when the buyer gets their own inspection report completed. For example, a buyer's inspector could report that your home has foundation issues. The buyer could decide to back out of the sale because of this; a huge red flag for future potential buyers! Your home will appear as a re-list after it's taken off the market, so there’s no way to hide this (Not to mention that you’re required BY LAW to disclose those foundation issues. It’s a good idea to avoid conflicts with the law when possible, right?). So needless to say, you want to avoid buyers getting an inkling that something's wrong with your home. By the way, getting a pre-listing inspection actually allows you to have a superior hand in negotiating. You can fix small issues before listing the property for sale. You'll also know what sort of concessions or allowances to potentially allocate in the sale ahead of time. We refer to the inspection period as the "second negotiation," so don't walk into it blind. Moral of the story: Pre-inspections can range in price. They'll start around $350, with the average costing around $400. In reality, the price will depend on your property, so it could be quite a bit more–especially if you’re currently an owner of a mansion in the hills. The cost will be based on the size of your property and how far a home inspector travels to get there. While it may seem like a lot of work off the bat, putting up the money for a pre-inspection can do wonders for your home sale and avoid future headaches. First impressions are everything. Your property should look its absolute best when it hits the market (Think of your home’s listing day like a wedding day. Your home is the bride. This is the biggest day of its life. Don’t let it down!). We’re talking about a fresh coat of paint, trimming back those trees and shrubs in the yard, updating kitchen and bath hardware, and making those lights a little bit brighter. These are all smart ways to get your home looking great, fast. Still, you should remain cautious not to overdo it! Truth is that some investments won’t pay for themselves. Sure, Chip and Joanna Gaines have inspired you to add some farmhouse chic to your home. Save it for your new place! You likely won’t be able to recoup the money you spend trying to recreate anything you’ve seen on HGTV (and you obviously wouldn’t even be able to enjoy it once you move!). Turn to your agent for some guidance if you’re not sure what to invest in. Bottom line–it's typical for these small but impactful changes to cost homeowners between $300 and $1,000+. Okay, sellers–now's when you need to listen up. In Texas, it’s customary that the seller pays all the agent commission fees. The listing broker will usually get 5-6% of the final sales price of the home. The buyer’s agent is typically entitled to half of that. The rate is negotiable, of course. Though, lowering the fee percentage compensation for the buyer's agent can cause your home to be less competitive on the market. You'll pay these fees at closing, and they are deducted from proceeds. Know the fees you’re in for way before you get into any agreements with agents. Yes, this might make your closing a bit bittersweet, but you’re so close to the finish line. What exactly are closing costs? Be prepared to pay an attorney’s fee, an escrow fee, warranty fees, a recording fee, and possibly others on top of your broker fees. Texans, these fees will wind up being somewhere between 2 and 5% of the final price of your property. 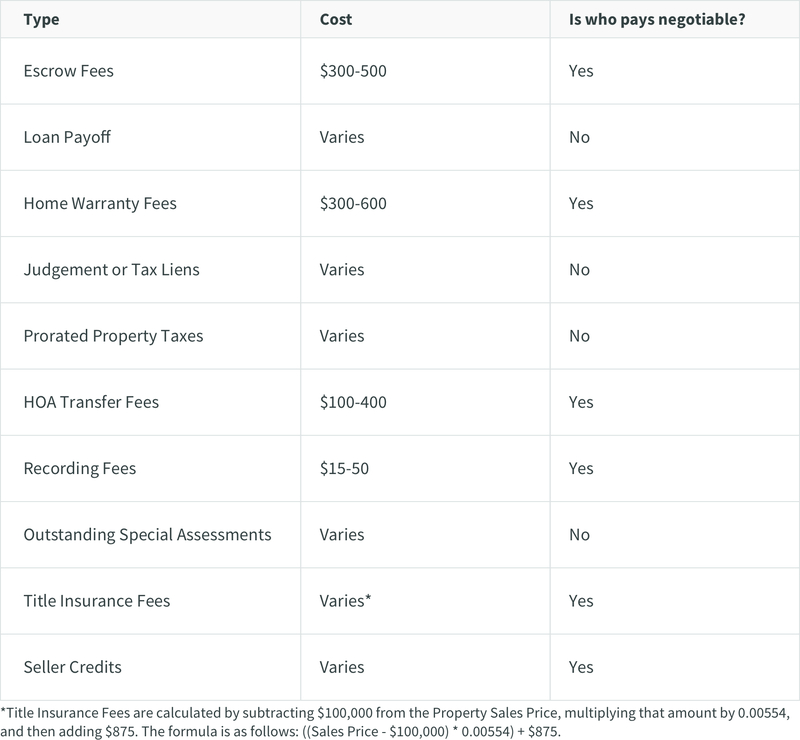 Below is an explanation of the closing costs that sellers are typically responsible for paying when they sell their home. Sometimes the buyer of your home will ask for you to credit a specified amount at closing to help cover their closing costs. The buyer and seller will negotiate the amount and terms of the credit and it will be included in the sales contract. So how much WILL it cost you to sell your house in Texas? Well, the real answer is: it depends. Your property’s value is a huge factor. On average, this could be close to 10% of property value (pro tip: with Jovio, it’s WAY less than that). If you want to put in some money up front to give your home a listing day makeover, that’s a non-mandatory cost. The fees towards the end of the transaction are what you’ll definitely need to see coming, so don’t get blindsided! If you’re thinking that it costs a lot to sell your home, you’re not wrong. That’s why we created The Jovio Way to sell a home in Texas. With Jovio, we sell your home for a 1% fee so you can keep more money at closing. Take a look here.